A definitive look at Miles Davis' live show from his last three years. Using funky but unpredictable rhythm sections and leaving space for plenty of solos, Davis created a unique brand of fusion that has yet to be satisfactorily duplicated. Among his more notable sidemen during this era are altoist Kenny Garrett, Foley on lead bass (which he used as a lower-toned guitar), one or two keyboardists chosen from Joey DeFrancesco, Adam Holzman, Robert Irving III, Kei Akagi, and John Beasley, various bassists, drummers, and percussionists, and on "Amandla," the tenor of Rick Margitza. Davis is in consistently strong form throughout the numbers, which include "In a Silent Way," "New Blues," "Human Nature," "Tutu," and "Time After Time." Quite often the live versions of these songs are more creative and exciting than the ones previously issued. 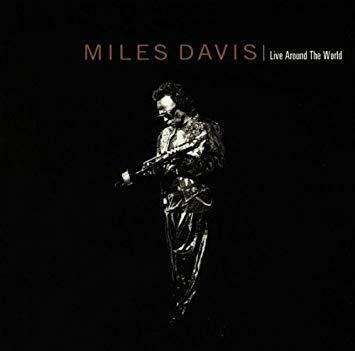 This highly recommended CD (released in 1996) concludes with one number ("Hannibal") from Davis' final performance; it is not given a date but is most likely from just a few weeks before his death at age 65.